Unlock Your Career Potential: Global Security Organization at ADP. Do you have a passion for going on the offensive to safeguard critical information? As ADP’s Global Security Organization (GSO), we know that our clients rely on us for human capital management solutions, but beyond that, they entrust us with one of their most valuable assets — their employee data. We are honored by this trust and are laser focused on securing data at every step in the information lifecycle, ensuring integrity, confidentiality and compliance with industry and government regulations at all times. From the cloud to the data center and across every emerging device, you’ll join a team of experts in the GSO who are always staying one step ahead in this ever-changing world of data by continually evolving our strategies and technologies to protect ADP and our clients. 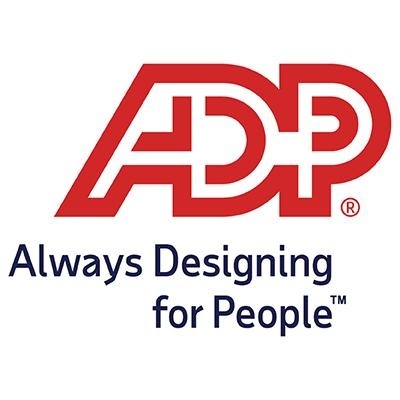 Providing around-the-clock protection and cyber defense of ADP’s global network of applications and data from threats from cyberspace is pivotal to the success of ADP’s globally recognized brand and the continued growth of APD’s $10B market share. Critical Incident Response Center (CIRC) Cyber Security Analystsexecute highly effective processes to support advanced security threat monitoring, security incident investigations and forensic analysis. CIRC Analysts provide detection and response services for ADP worldwide across a broad set of security disciplines — including cyber operations, fraud prevention, physical security, and operational risk management. Liaise with Legal, Privacy, Communications, Public Relations and the Business Units teams to triage any and all potential consumer, client or other reporting obligations related to incidents. Executes tests and verifies company response including the ability to rapidly gather information to enable an investigation and direct and effective response. CIRC is a 24/7/365 organization. We follow the sun to maintain regular office hours for our analysts, but please understand that operations may require working a non-traditional or extended hours. Monitoring, managing, and coordinating the information collection and cataloging of activities from a variety of public and private security related information sources, as well as documenting the initial analysis of vulnerability reports and how they may relate to ADP Review various alerts from the intelligence sources and identify any indicators of attacks that may be focused on ADP or identify any activities from threat actors that may have an interest in ADP. Conduct technical analysis and assessments of security related incidents, including malware analysis, packet level analysis, and system level forensic analysis. Conduct the analysis of network traffic and output from various network centric technologies. Analyze disk & memory images with the intent of recovering information related to a security incident. The analysis focus can include malicious or suspicious files, logs, registry entries or indications of lateral movement or data exfiltration. Coordination of incident response activities (escalations, notifications, conference calls, etc..) Monitoring all alerting systems, triage all collected information and escalate as necessary. Facilitate the escalation process and interactions with external teams. This includes prioritizing incidents during activity time frames and including advanced teams when necessary. Assist in the development and maintenance of new procedural documentation including newly developed correlation rules based on the collection of data from external & internal intelligence sources, the validation of the data, and applying the context of the IOC data to ADP’s threat & vulnerability exposure. This also includes the training of appropriate ADP security analysts on these additional IOC’s. B.S. Degree in Computer Systems Engineering, Computer Science, Computer Information Systems or equivalent education and experience required. Specialized training in information security helpful. The Analyst must have a holistic understanding of the modern physical and cyber security landscape. This position will be responsible for performing tasks related to the further development of our converged SIEM monitoring platform which includes writing reports and correlation rules. The Analyst will primarily be responsible for analyzing advanced security related information from a variety of sources to create actionable intelligence from this disparate date within the SIEM platform. The candidate must have strong skills in conducting technical analysis of security threats, as well as the ability to document and train individual members of the CIRC staff on new processes/procedures for other junior analysts to respond to in the SIEM platform. Networking Skills – Strong experience in Windows and *nix environments. Excellent understanding of TCP/IP and network communications. Strong network administration skills. Packet-level behavioral familiarity with most major TCP/IP application protocols ( DNS, SMTP, HTTP, BGP, LDAP, IMAP, SSH, FTP, KRB5, DHCP, CIFS). General understanding of key components of internet architecture.